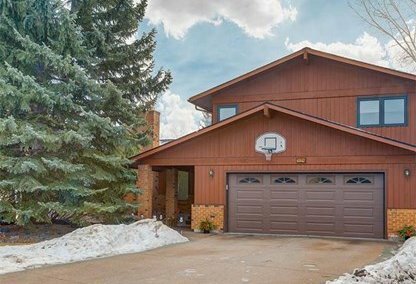 Find the newest Midnapore homes for sale in Calgary! Midnapore is one of two adjacent localities south zone of Calgary, Alberta, Canada, that the city annexed in 1961. 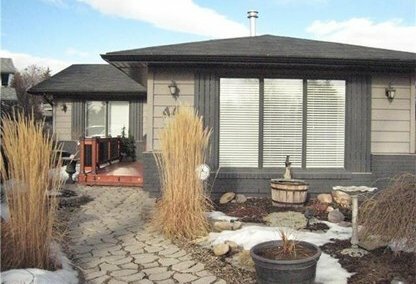 For information about Midnapore homes for sale or to schedule a personal home or condo showing call your Midnapore Calgary real estate team today. Midnapore housing market statistics: As of April 22, 2019 there are currently 17 properties for sale in Midnapore listed as active, with an average asking price of $463,170. The highest-priced property is $949,900; the lowest priced property can be purchased for $198,800. Midnapore neighbourhood listings have an average price of $310 per square foot, based on listings with 3.3 bedrooms, 2.6 baths, and 1,488 square feet of living space. Selling or buying a home in Midnapore Calgary soon? Call Justin Havre at RE/MAX First - 403.217.0003. Our community of Midnapore real estate agents will help you navigate the Midnapore housing market in Calgary. Midnapore was not established as one of Calgary's communities until 1977. Five years later, its adjoining community, Sundance, was also established as a Calgary neighborhood. Each of these two subdivisions has a man-made lake, around which many homes for sale were constructed. The Fish Creek Provincial Park borders Midnapore to the north and to the east. The Macleod Trail is west of the neighborhood and provides home owners with convenient access to many of Calgary's attractions. Single-detached houses make up the majority of homes in the neighborhood, with 52.8 percent of the 2,585 residences consisting of these types of homes according to a 2006 report. Apartments, row houses, and semi-detached homes make up the other residential properties in Midnapore, which has a total of 7,276 residents. About a quarter of the total houses in the community are for rent. At the low end of Midnapore real estate offerings are condos and townhouses whose prices start around $200,000; single-family homes are priced at around $300,000. Some Midnapore homes were built along the border of the neighbourhood's lake. Also, many of the residences are built close to the Fish Creek Provincial Park, where community members can go and look at local wildlife, such as coyotes, foxes and, deer. The neighborhood's proximity to the park offers home buyers easy access to the extensive pathway system of the city. It's also convenient that there is a mall and a business section within the Midnapore area. The neighbourhood's man-made, well-landscaped lake offers water sports such as boating and swimming in the summer, as well as skating and tobogganing in winter. Commuting to points of interest in the Calgary community is likewise convenient as several transit bus routes serve the Midnapore locality. The Midnapore community also has two elementary schools and is host to St. Mary's University College. Planning to buy or sell a home in Midnapore Calgary? Let our real estate team guide you in your search for the perfect home and professionally facilitate the sale of your existing home. As Midnapore neighbourhood real estate agents, we know how to navigate the Midnapore real estate market. Let's get your home sold quickly and at the highest price! Contact Justin Havre at RE/MAX First - 403.217.0003 to find out more about buyer or seller representation. Thinking of selling your Midnapore home? Check out our free property evaluation tool, where you can easily view Calgary Homes Values online in moments!